Last 6359 items in stock! 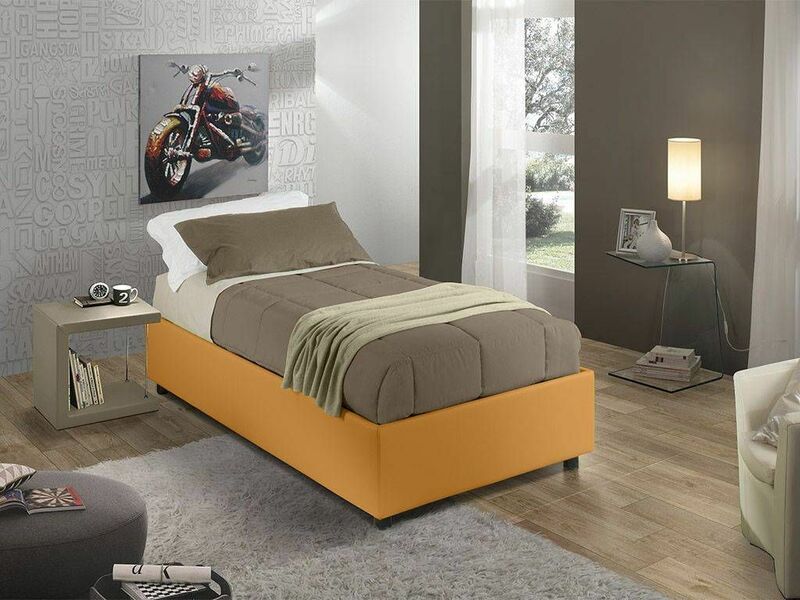 Sommier upholstered single bed with fixed base (12 wooden staves bed base), with frame reinforced steel . 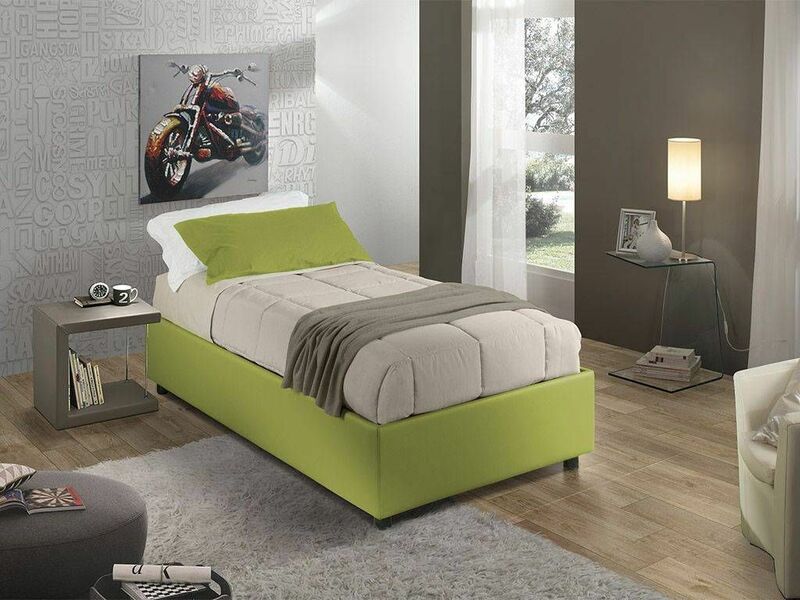 The bed is manufactured by an Italian company, that takes care of its productions in every single detail, and that creates products that will guarantee stability, and a proper rest, thanks to the ergonomicbed frame with beech slats of 13 double-row strips, with frame reinforced steel. 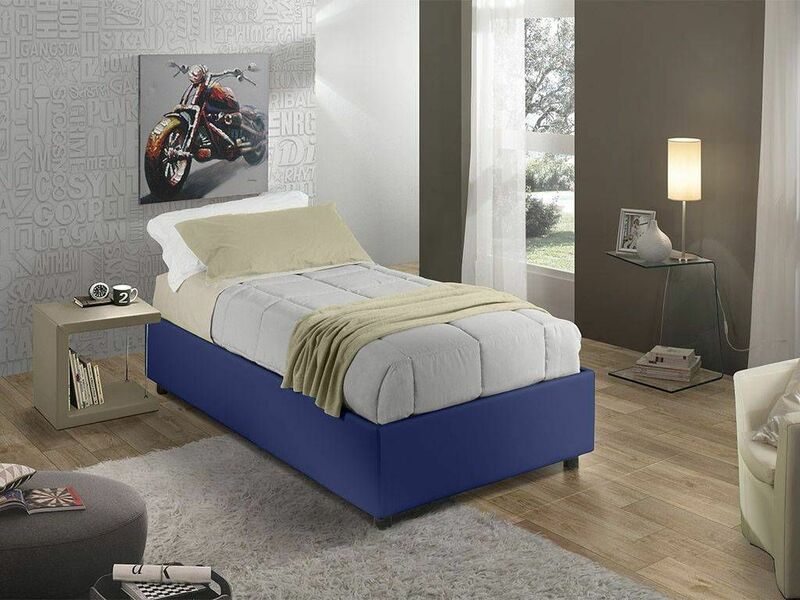 The single bed Sommier is provided with a solid and ergonomic 12 wooden staves bed base, which guarantees long-lasting support. 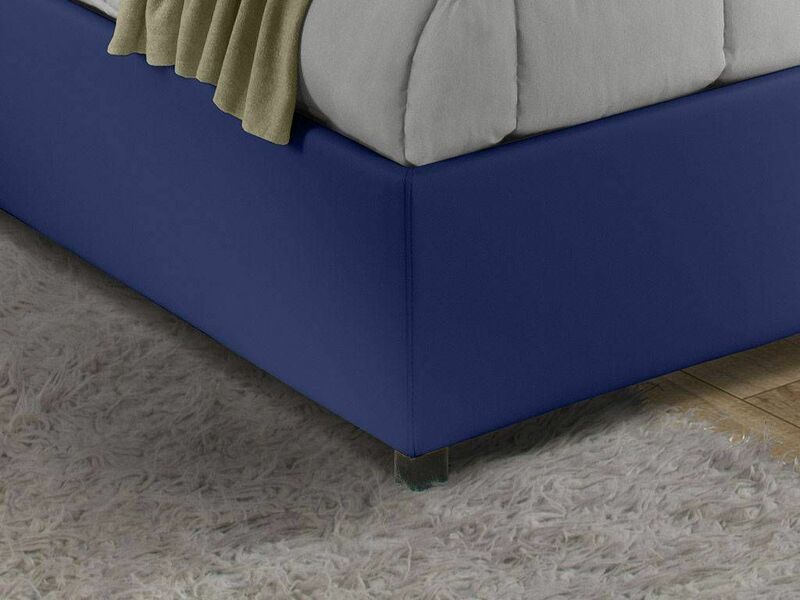 The Sommier single bed is available in a wide range of colors and in two different materials, modern and elegant at the same time: thefaux leather and the microfiber velvet effect. You can choose among white and cream, beige and mud color, dove gray, gray and aubergine color.